In geometry, a tesseract, also called an 8-cell or regular octachoron or cubic prism or 4-cube or hypercube, is the four-dimensional analog of the cube. The tesseract is to the cube as the cube is to the square. Just as the surface of the cube consists of 6 square faces, the hypersurface of the tesseract consists of 8 cubical cells. The tesseract is one of the six convex regular 4-polytopes. The Tesseract is a Polychoron. A generalization of the cube to dimensions greater than three is called a "hypercube", "n-cube" or "measure polytope". The tesseract is the four-dimensional hypercube, or 4-cube. 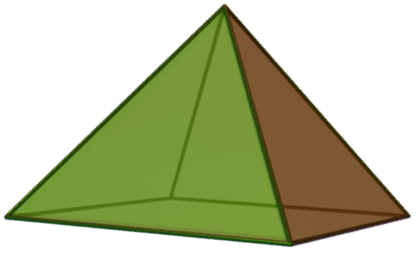 This geometry-related article contains minimal information concerning its topic. You can help the Mathematics Wikia by adding to it.